All sputter coaters require an appropriately sized, two stage mechanical pump. We recommend and supply Edwards (The British pump manufacturer) and Pfeiffer pumps (The German pump manufacturer). These pumps are available from us. The Pfeiffer DUO 6 rotary pump is also the best size for SEM, TEM, evaporators and is very fast on sputter coaters, other preparation equipment and for the evacuation of refrigeration/ air-conditioning systems. Within Australia and New Zealand we can supply these superior pumps very competitively. Turbo pumped instruments include the turbo pump, but require a mechanical pump. 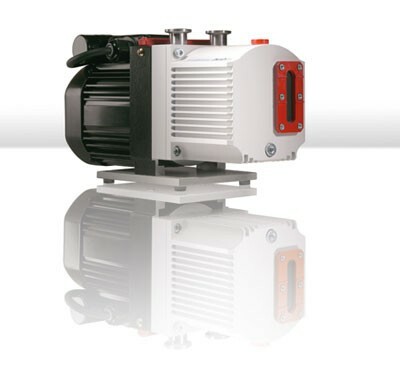 Note: A larger diaphragm pump is available in the Emitech range, see below. However, it should be noted that larger diaphragm pumps, when compared with rotary pumps (also called mechanical or fore-pumps) are a little noisier, require a little more maintenance, do not achieve as good an ultimate vacuum and are more expensive. The advantage of being totally oil-free remains and it is known that rotary pump oil can contaminate a system, streaming past the diffusion pump. The argument for a diaphragm pump backing of a turbo-molecular pump is weak, since that pump's action scarcely allows oil vapour into the pumped space. For small Diaphragm Vacuum Pumps, which provide a lesser vacuum, but are oil free and excellent for pumping "wet" materials, see page V4. All of our turbomolecular units are fitted with the BOC Edwards EXT70H Turbomolecular Pumping system as standard. The turbomolecular pump is optimised for molecular flow conditions and requires a suitably sized two stage rotary vane pump or an oil free scroll pump (see below) to exhaust to atmosphere. The design allows for high critical foreline pressures (typically up to 10 mbar) and options to use smaller backing pumps or dry diaphragm backing pumps. Quorum has replaced the V3 and V5 Edwards pumps with a 5m3hr-1 2 stage oil sealed rotary vane pump - Pfeiffer DUO 6 rotary pump. A totally oil free, mechanical vacuum pump. Optimised kinetics for minimum work and wear of the diaphragm result in high reliability, low scuffing, long life and low noise level of the diaphragm. This pump is available for all turbo-driven instruments for a completely oil-free system. See also our range of Diaphragm Pumps. 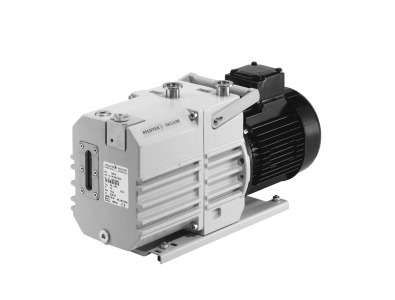 The XDS is a completely dry, lubricant-free vacuum pump with vapour handling. It overcomes problems associated with other scroll pumps such as reliability, cleanliness, servicing, shaft seal wear and vapour handling. Designed by BOC Edwards to provide vacuum totally free of lubricants Emitech offer XDS5 & XDS10 Scroll Pumps as a back up option for the turbomolecular pumped units or as a primary pumping system. 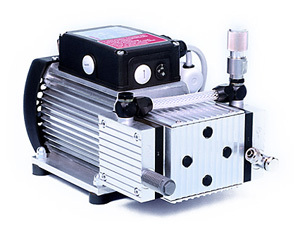 This pump is portable, air-cooled and cost effective. Power consumption is very low and, typically, no other utilities are required. Truly user serviceable; with no oil to change, annual maintenance can be completed typically in about 10 minutes without special tools.